December is here. The time when we can all enjoy family dinners and outings. No work, no school, no office. We can sleep the whole day. Stay awake the whole night. That’s why most of us wait for the chilling December holidays. Christmas planning, Santa Claus celebrations all happen during this time. So, what are your plans for the December holidays? We wish you enjoy the most while staying safe and protected. 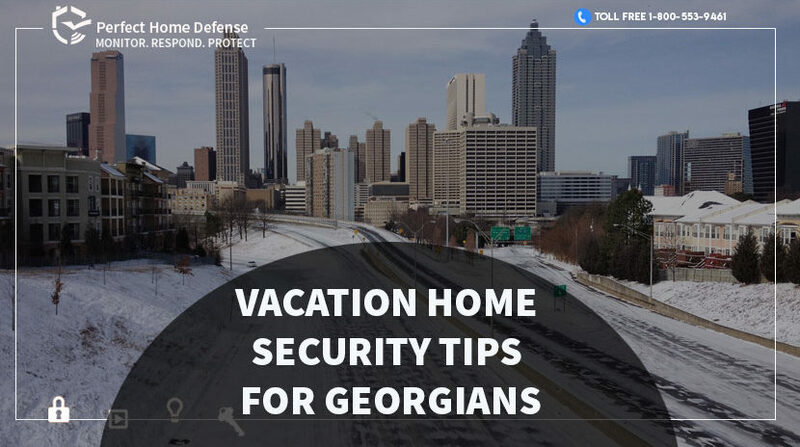 Unfortunately, the Christmas season also brings some security concerns, Burglaries, home invasions, and property crimes become double this season. According to a police report, invaders particularly target vacant homes. They know the homeowners and families are away. 6 in 7 burglars that were interviewed by police say they repel from houses that are equipped with the best home monitoring systems. Modern alarm systems are based on crash and smash technology to protect you even against a crash and smash attack. Make sure you have outdoor cameras installed to protect your home from the outside. These cameras are weather proof and can work in almost all conditions. With smart control, you can check live video feed through these cameras anywhere and any minute. Announcing holiday plans to the people around you can be dangerous. Don’t tell everyone in the neighborhood and community that you are going on a vacation. Moreover, keep it a secret from your unknown or lesser known Facebook, Twitter, Instagram followers. The best thing to ensure safety of your house and valuables is to lock everything (that you think can attract a burglar). Use keyless entry door locks for your front and back door. They are smartphone controllable locks that don’t need keys. Consider integrating home automation alarm devices such as smart lights and smart plugs. These smart home products would enable you to use them remotely and show the opportunists around you that you are inside your vacant house even if you are away. These devices can help make your house look occupied 24 hours. What if someone knocks at your door when you are not home? A delivery person or an important guest? You can answer them by using the smart doorbell camera. The video doorbell camera can be used from anywhere even if you are away on a trip with your family and friends. Test your smoke alarms and all other sensors and home safety devices. Don’t forget to add the home security systems’ app and be able to monitor your house via your cell phone. Inform a trusted person/neighbor to keep an eye on your house while you are away.